After my class, my anticipation for the event grew exponentially; all quality Italian wines would be poured for the masses at the Skirball Center in Los Angeles and I could not wait. I am not the biggest fan of large tastings (as I’ve alluded to this before in my Chateau Koivu article), being crowded out, mixed in with a majority that treat it as a time to furiously quaff rather than spit, trading the education for purely hedonistic delight. I could guarantee that a good-sized group of friends amassed from my tasting group and wine class would help ease my woes but nevertheless I was fearful of the tasting losing focus. My trusty group would also help me make sense of the overwhelming catalog of wines (red and white) after the big tannins decimated my taste buds and my teeth took on a darker shade of garnet. Oh yeah…this was Viva Vino! 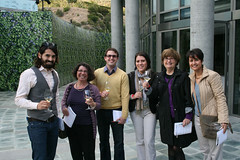 The idyllic surroundings of the Skirball Center would play host to the tasting. 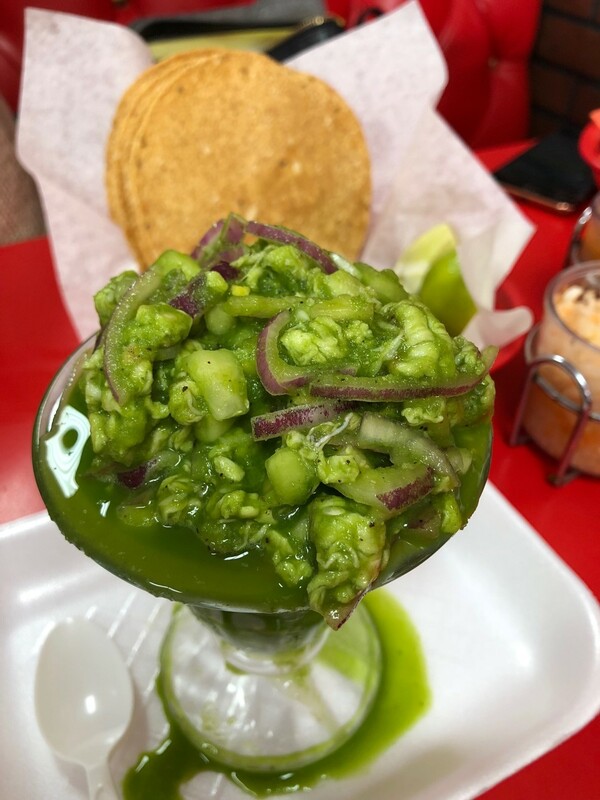 A serene space that was a cross between modern and earthy, operating north of nearly all the bustle in LA, with ample space to allow a large group of people to comfortably taste and nosh. 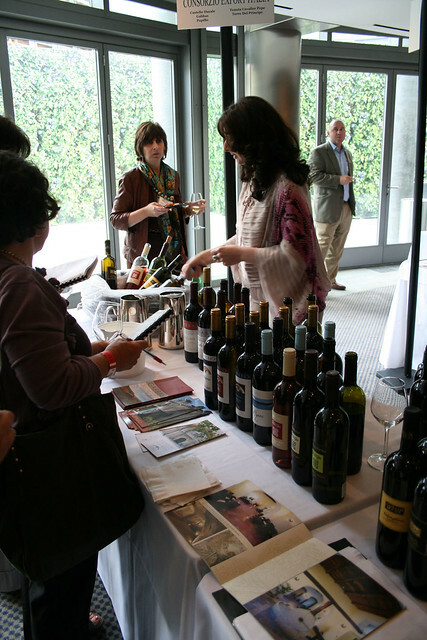 Just inside the venue, venders, vendors and importers had lined up tables, ready to showcase their products, introducing buyers and enthusiasts to assay wine that they might not encounter in any other setting. As the doors opened, people shuffled through, grabbing pens, booklets and glassware, beating paths to the nucleus of the tasting. Once inside, our clique spotted our former teacher and consulted with him about which wine we should try first and if there was anything we shouldn’t miss. After accepting his advice, we made our way to our first producer—tasting the expressions of Sicily. We tried the Cyane—a hundred percent Muscato Bianco—Pollio Moscato di Siracusa DOC, the Solacium Moscato di Siracusa DOC before moving onto the reds like the Frederico IGT Sicilia Rosso which was a 100% Nero D’Avola. The Solacium Moscato stood out amongst its peers; it was crisp and lighter-bodied white, with a delicious nose of white flowers, Honeycrisp apples and some tropical fruits; it had a mouthfeel that packed moderate-plus acidity and a long, lingering finish. On the flip, the Nero D’Avola was fronting some cran-cherry notes in the nostrils and was totally dry, medium bodied red with moderate tannins and flavors of cherry, herbs, brush and some pepper on the buds. We continued to Sardegna, moving through some Cannonau Di Sardegna with lots of cherry between sips and also some cocoa notes, but aside from the body being heavy, the finish was not as long as I would have wanted—at least on the three or four that I tasted. I was thankful for trying them all though. Our group leaped up to Piemonte in Northwest Italy, spending the most amount of time sampling an endless array of Barolos and Barbarescos, from various producers and sub-areas within the famous villages of the region. Another standout for my palate was the noticeably brighter (ripe) cherry notes coming from the Eraldo Viberti Azienda Agricola 06 Barolo with medium acidity, soft, but ever-present tannins and a long finish that followed the nose and would not let go of the tongue; it showed well now. 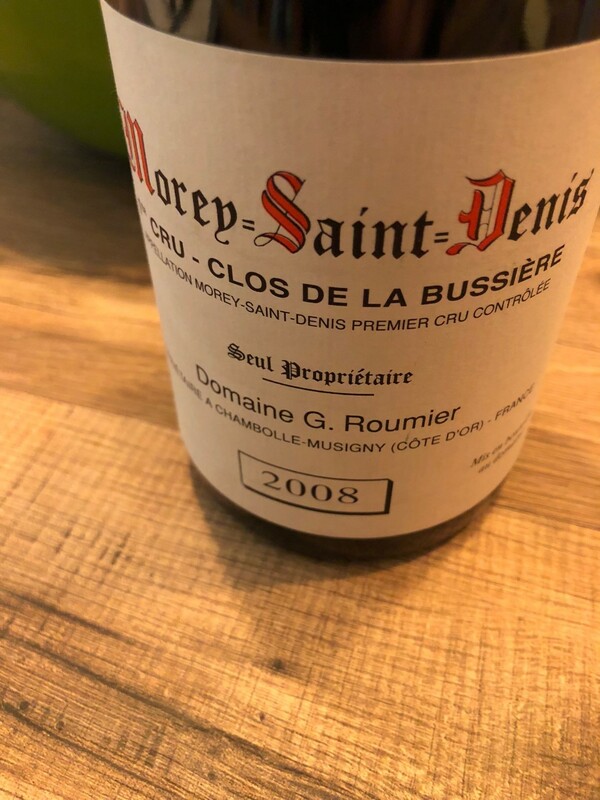 The wine felt young and decidedly fresh especially after tasting through countless austere examples that needed more age and would have benefitted by accompanying some Piemtonese cuisine. Among all the Roero (Arneis), Valpolicella, Amarone, Sangiovese, Barolo and Barbaresco, my palate was thoroughly hammered. With the live band pumping out classic Italian tunes (at incredibly loud volume) and the wan lighting to make it incredibly difficult to see the real hue of the wine, the point of the tasting got away from me. I decided to close the complimentary notebook, sheath the pen, and just relax. Having friends to consult and laugh with during the tasting seemed to make all the difference because other aspects remained constant—the wines were not done justice, there were still a small amount of rude people, etc.—but in the end, it was not so much that Viva Vino became the new benchmark for wine events but rather an emphasis that it is imperative I travel to them with my friends. A lesson in self-discovery.